Zimbabwe's mines minister over the weekend announced new royalties on platinum group metals – already a steep 10% – to encourage miners to start refining the metal inside the country. BDlive quotes Obert Mpofu as saying: "We are going to introduce a graded system for royalties. Those that export semi-refined products will pay a certain level of royalties but if it (platinum) is refined, the level of royalties will be reduced." Mpofu first mooted the ban on raw exports of PGMs from the African nation, which enjoys the second largest reserves in the world behind neighbouring South Africa, in February. The government announced the seizure of land and 50% the mining claims of Zimplats, the country's number one producer 49%-owned an operated by South Africa's Impala Platinum (LON:IPLA), last week. 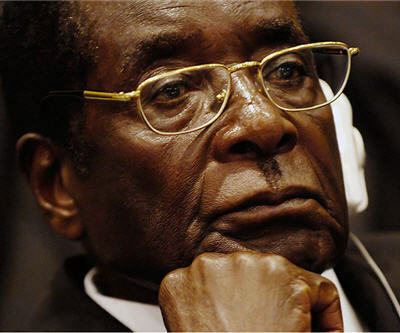 President Robert Mugabe who has ruled the country for more than 30 years at his 89th birthday celebrations also floated the idea of revisiting compensation under the deal that gave the government a controlling share in the company according to its controversial indigenization laws. Zimbabwe's move follow crippling strikes and planned mine closures by number one producer Anglo American Platinum in South Africa and has the potential to push the PGM market further into deficit and has seen the price gain 3% or $51 an ounce this year.